As we all know, geochemical data usually contain outliers and they are heterogeneous, which will severely affect the use of receptor models based on classical estimates. 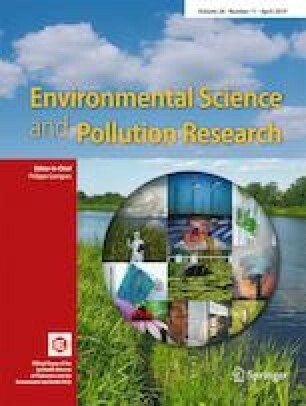 In this paper, an advanced modified RAPCS-RGWR (robust absolute principal component scores-robust geographically weighted regression) receptor model was introduced to analyze the pollution sources of eight heavy metals (Cd, Hg, As, Pb, Ni, Cu, Zn) in a city of southern China. The results showed that source identification and source apportionment are more consistent by this advanced model even though the soil types and farming patterns are diverse. Moreover, this model decreased the occurrence of negative values of the source contribution. For these reasons, the pollution sources were classified into five types by the new model in the study area: agricultural sources, industrial sources, traffic sources, comprehensive sources, and natural sources. (1) The contributions of agricultural sources to Cr and Ni were 243.36% and 242.61%, respectively; (2) the contribution of industrial sources to Cd was 79.25%; (3) the contribution of traffic sources to Cu was 100.31%; (4) the contributions of comprehensive sources to Hg, Pb, and Zn were 253.90%, 242.31%, and 93.32%, respectively; and (5) the contribution of natural sources to As was 208.21%. Overall, the RAPCS-RGWR receptor model improved the validity of the receptor models. It is of great realistic significance to understand and popularize the advanced model in soil source apportionment in agricultural land. • An existing advanced modified RAPCS-RGWR (robust absolute principal component scores-robust geographically weighted regression) receptor model was introduced to analyze the pollution sources of eight heavy metals (Cd, Hg, As, Pb, Ni, Cu, Zn) in a city of southern China. • I demonstrate firstly that this model made the source identification and source apportionment better consistency in various soil types covered by multi-plant species. • This model has been proved firstly that it is useful to decrease the occurrence of negative values of the source contribution. We also thank Prof. Zhao Zhongqiu for the guidance during the writing and modifying of the manuscript. This study was supported by the Ministry of Land and Resources, public welfare industry research special project (grant No. 201511082-2).